This visualization shows the number of responses across the sensitivity continuum for each question asked in the survey. Questions 9-11 were asked along the X-axis representing respondents’ preferences as it relates to Intergenerational Relevance. 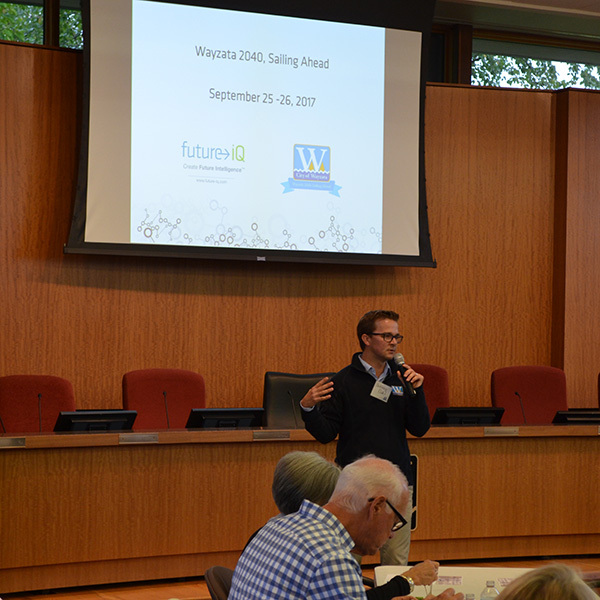 Questions 12-14 were asked along the Y-axis representing respondents’ preferences as it relates to Wayzata’s development Trajectory. The number of responses for each point along the graph may be seen by hovering over any section of each graph. The image of the person on the graph indicates an average for each question.